the different landscapes, cultures, history and wildlife of this beautiful island nation in more detail. Our short tours can be taken individually or joined together to give you the experience you desire. These experiences depart any day and include the exclusive use of a guide who will ensure you and your travel companions receive an experience that is all about you. We include multiple-night stays in destinations to ensure you aren’t rushed off your feet. This allows you to add your own adventures to the already very generous inclusions list. To allow you to tailor the holiday to your level of comfort, we offer a choice of hotels in each destination from luxury resorts to boutique hotels. Our itinerary is a starting point, which we will customise just for you during the booking process. As our short tours are just for you, if you book, we will deliver with guaranteed departures. Our guarantee means you can book your holiday in the confidence it will go ahead. This tour of Sri Lanka’s southern coast includes such a great variety of experiences that it is bound to appeal to a wide range of interests. It’s for anyone who loves viewing wildlife in their natural surrounds or those who love a beachside getaway. An evening jeep safari in Udawalawe National Park. Entry to the Udawalawe Elephant Transit Home. Tour of the Dutch Fort in Galle. Entry and tour of a green turtle conservation centre. 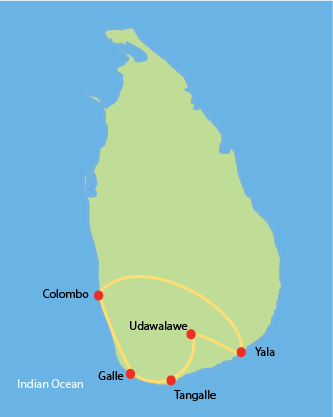 Departing Colombo, we head south along the coastline towards the historic city of Galle. On our journey we visit a unique turtle conservation facility that has assisted in the safe hatching and release of thousands of baby turtles, and take one of the country’s few highways out of Colombo. The Dutch, Portuguese and British all occupied Sri Lanka for some periods in the country’s past. The fort in Galle is a great relic of maritime history and life during the Dutch period of Sri Lanka. Explore the fort during the day before coming back to the city at night for a dinner in the old city. Early risers can board a morning whale watching experience as local guides take you offshore to view these amazing animals off the coast of Sri Lanka. The afternoon is yours to explore the new and old city of Galle, your guide able to provide suggestions as to how to make your most of your time in this historic city. 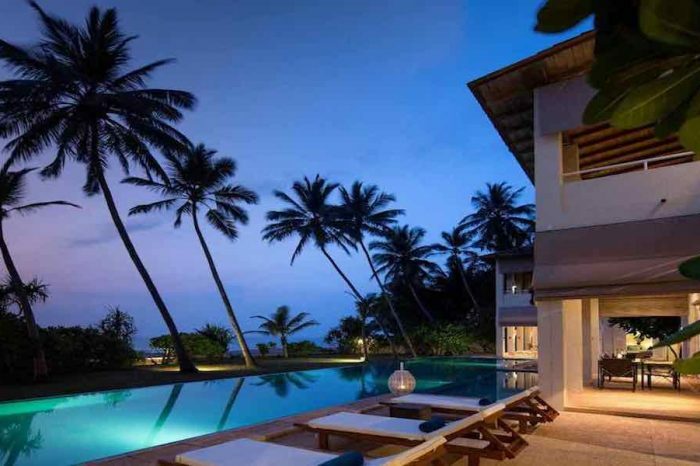 We follow the coastline east towards some of Sri Lanka’s best southern beaches. We remember those who lost their lives in the 2004 tsunami as we pass colonial towns along the coast. Each town is home to ancient fishing villages, Buddhist temples and shrines. We watch fishermen use various methods to catch fish from the shoreline and visit the only blowhole in Sri Lanka to observe the power of the sea. 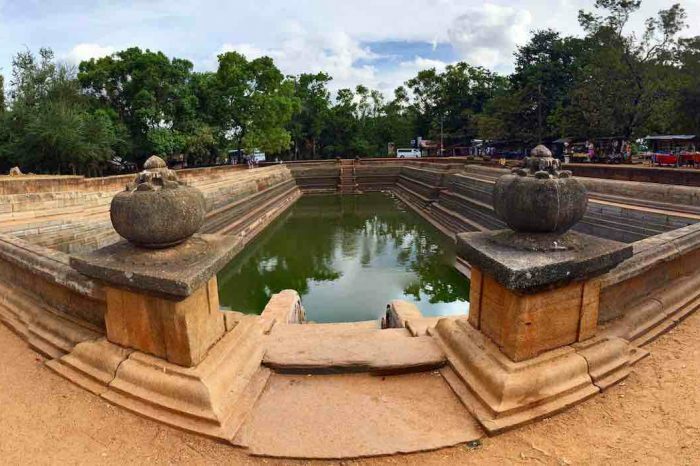 After visiting the town of Tangalle we head inland where we see the landscape change from the wind swept coast to the savannah-like plains of southern Sri Lanka before arriving at Udawalawe National Park. We take to a jeep for a safari of a national park that rivals the savannah of Africa. As the sun sets across Udawalawe dam, we search for elephants, the elusive leopard and crocodiles on our Sri Lanka Safari. After an exciting day witnessing the circle of life, our evening ends with a relaxing dinner. We start our day with a visit to the elephant transit home where elephants are rehabilitated for release into the wild. Leaving the savannah-like plains of Udawalawe we continue eastwards to the stunning Yala National Park. We base ourselves at the Yala with the option of upgrading to a luxury ‘glamping’ experience complete with your personal butler. We enjoy a full day safari in Yala National park today again in search of Sri Lanka’s elusive leopards in one of Sri Lanka’s most popular national parks. After an exciting day witnessing the circle of life, our evening ends with a relaxing dinner or swim in the pool. Although the tour program is complete, your trip doesn’t need to end just yet. To get you back to Colombo we provide return ground transportation, or can extend your tour to explore Sri Lanka further. We can arrange add-on accommodation in Yala for those wishing to continue their safari experience. Speedy return to Colombo by aircraft is also available for less than you may think. What’s included and not included in this tour of Sri Lanka’s southern coastline is pretty clear, we think. We like to keep things simple, so you won’t find page after page of terms and conditions (although we are required to have some to protect both you and us). For this program, we include 5 nights’ accommodation at the hotels chosen by the guests at each destination. If we say we include an activity in the itinerary above, then we include it. Optional activities or what we suggest you could do in your free time are just that – optional and not included. We have tried to include as much as possible so you get the best experience possible. We do not include airfares to and from Sri Lanka. If you require airfares, please contact us and we are happy to assist you. Click here to get a Personal Quote for this tour! Get ready to explore this amazing island with the bliss of age-long wellness practices in the country suitable for the whole family. 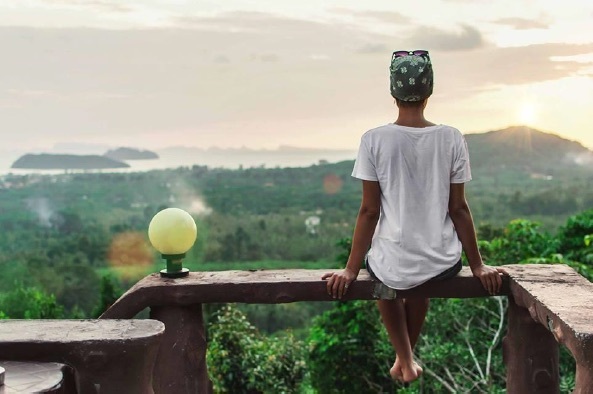 This Sri Lanka Family Adventure allows you to experience more than a wellness retreat for the parents. Let your family be curious, adventurous, strong, and flexible, while the parents minds becomes focused, clear, and present with your family. 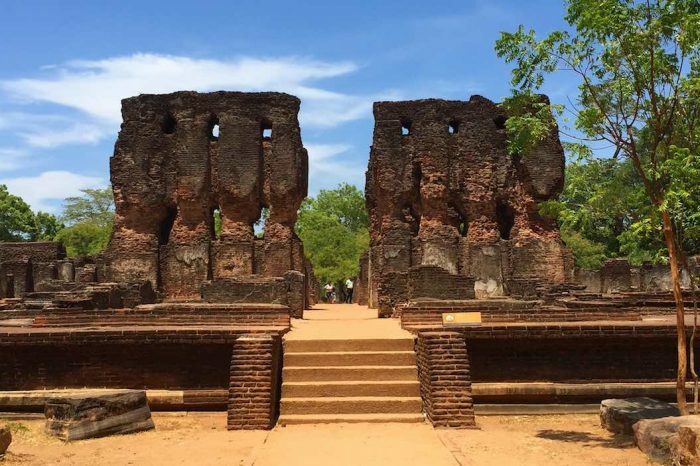 Our cultural triangle tour explores kingdom’s dating back over 2,000 years across the major ruin sites in Sri Lanka . We explore the history of Sri Lanka as we trace the various kingdoms that ruled Sri Lanka across the ages.